Brooks and Dunn are like a Star Search dream come true. Kix Brooks was on the Capitol Records roster with a solo album before spending time writing songs for a handful of country artists. 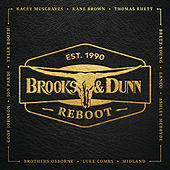 Through an introduction from Arista Nashville guru Tim DuBois, Brooks befriended Ronnie Dunn who had won a national country talent competition. The uncanny chemistry between the two quickly made them the most popular country duo of the 1990s. Their slick sound and warm tones traverse from heavy, knee slapping, honky-tonk inspired boogie rock to radio-friendly ballads worthy of womanly tears in beers. 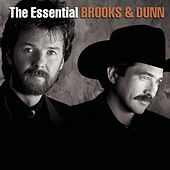 Brooks and Dunn's songs tend to lure fans of new country music with their sharp ears for barbed melody as well as their hypnotizing close-harmonies. After 20 successful years, Brooks and Dunn announced that after a farewell tour in 2010, the two would retire as a duo. To commemorate, they released #1s and Then Some in October 2009. The 30-song double album includes 23 No. 1 hits plus two new songs: "Indian Summer" and "Honky Tonk Stomp." An expansive collection, #1s and Then Some is a brilliant bookend to a distinguished career.